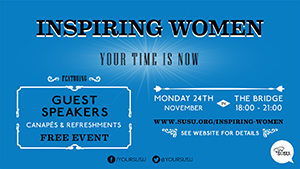 Crowds gathered at the Bridge to enjoy an evening of motivation as SUSU hosted their special Inspiring Women event. 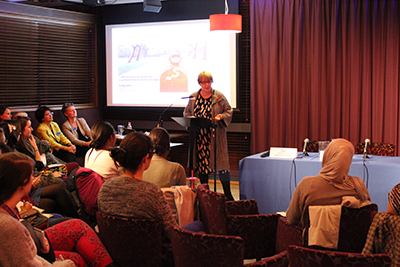 Starting at 6.30pm the free event saw guests greeted with drinks and canapés (served by some very smartly dressed sabs!) 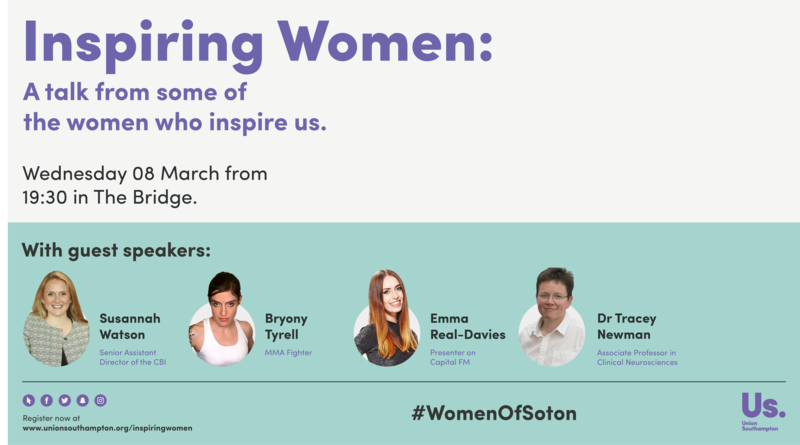 before they sat down to listen to the talks from a selection of amazing women.